Take Alexandria Pike/US-27 S off of I-275. Continue south approx 7 miles. R on Spillman. (Just past Main St) Home on left. Accepting back up offers. 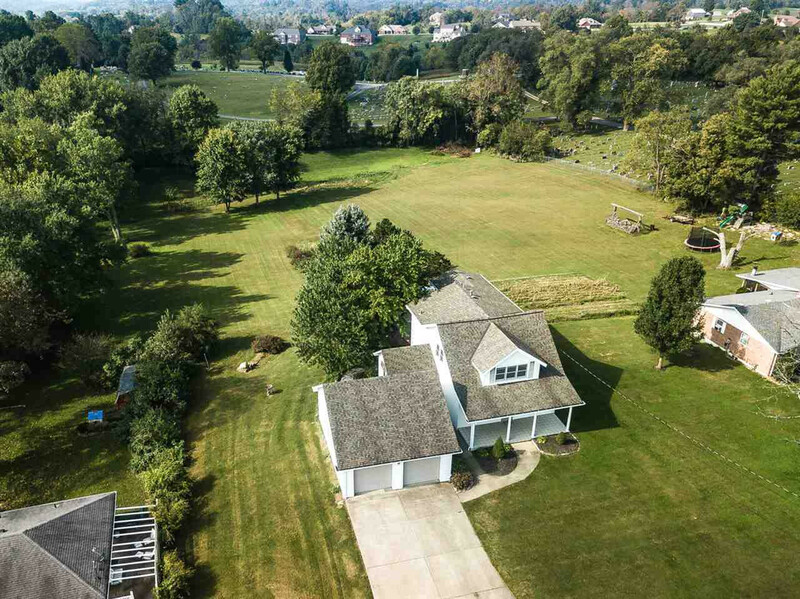 Lovely Country Home on 1.54 Acres w/Scenic Views. Spacious Back Addition. Main Floor includes Formal Living & Dining Rooms, Wood Flooring, Huge Breakfast Area, Over-sized Family Room w/ WB Fireplace, Spacious Kitchen (All Appliances Stay! ), Laundry + Large Full Bath w/ Jacuzzi! Upstairs includes Master Bedroom w/ adjoining bath, a 2nd Bedroom w/Half Bath, Plus 2 More Bedrooms. Finished Basement w/ Rec Room, Pool Room, Full Bath & Walk Out. Enjoy the Views from the Screened in Deck or Beautiful Patio Among Luscious Garden/Mature Trees. Over-sized 2 Car Garage.